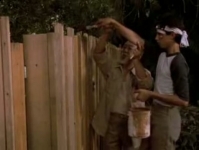 Last weekend was spent trying to be useful as McAdam is moving into his new place next weekend. This involved lifting heavy things, driving around with a trailer on the back of the car (which was pretty amusing in itself as I demonstrated my complete inability to reverse with one sitting on the back of my car :P), going to the hardware store and painting the house. Having painted our previous place, I have to say I’m not too shabby at the task – plenty of practice there. Anywho, when I woke up Sunday morning after a hard day’s work, my thigh on my right leg was absolutely killing me! On Saturday night when I went to bed I was struggling to be able to hop like I normally would, and after a full day of painting on Sunday, my thigh was absolutely shot come Sunday night. When I woke up on Moonday morning, I knew I’d done a good job 🙂 It wasn’t as though it was permanently damaged or anything, it’s just that the muscles were extremely sore. While this is pretty normal for most people I guess, I think it’s exasperated by the fact that when I suqat down or head up on the step ladder when painting, I’m doing everything using only one leg, as my prosthesis is such that it’s there to provide support while walking or when stationary, but because of the lack of a working knee, my body relies entirely on my right leg to lift the body when crouching/climbing step ladders, that kind of thing. It means it gets a good workout, too! 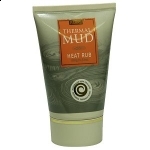 So come Monday night, I was getting worried that the muscles weren’t recovering as quickly as I wanted when I had one of those light-bulb moments – the magic mud! I’ve posted before on this magic stuff, so have a read if you’re interested – once again, the stuff made a huge impact on my thigh, I massaged in a pretty generous amount on Monday night, and while it was still sore on Tuesday, it was considerably less so. And today? Feeling almost back to normal. 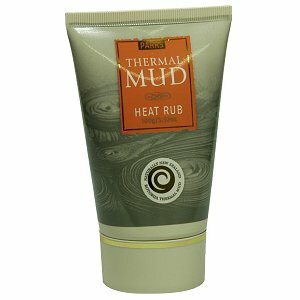 If you’re keen to try it, Google ‘Rotorua Thermal Mud’ – the maker of the one I have is Parrs, and they were readily available when Wifey and I were holidaying in New Zealand a few years back. When my current batch runs out, I’ll definitely be ordering some more online from NZ. At least for me, it works really well on freeing up aches and pains from my joints and muscles.